TOUR GUIDE RESPONSE: Thanks for taking the time and trouble to submit your review. I take on board your comments about taking shelter and I am sorry if the weather on the day detracted from your enjoyment of the tour. I hope that your reunion on Saturday was full of nostalgia and fun. It was a pleasure to meet you both and thanks for asking me to share some of the city of Bristol with you. Mike is an energetic, knowledgeable guide who is very easy to spend a day with. He is flexible in accommodating ones preferences and pace. My husband and I spent a wonderful day with Mike touring the Cotswolds. He knows every corner of the area and took us to beautiful villages, sometimes away from the crowds. He is knowledgeable, considerate and fun to be with. Highly recommended. TOUR GUIDE RESPONSE: Thanks for submitting your review, and for the kind comments. Our driver Nathan and I both enjoyed the day with you. My husband and I were privileged to spend two and a half days touring the Bath area with Mike. He is knowledgeable, sensitive to his clients' preferences and fun to be with. Our tour of the Roman Baths and the city of Bath was wonderful. He thoroughly explained everything about the Baths - from its history to the way it worked. Highly recommended. Lovely day and delicious Sunday Roast in the Cotswolds. Mike also added a cherry on top with an unscheduled, very personal tour of the Clifton Suspension Bridge when we returned to Bristol. TOUR GUIDE RESPONSE: Wow guys, thank you so much for those kind comments. I was sorry you had such difficulty in getting to Bath but glad it all worked out in the end. Enjoy the rest of your stay in England, and have safe flights home. Mike was fabulous. We were about 10 minutes late because we had a hard time finding parking and Mike took it all in stride. We immediately began the tour and he was a wealth of information but didn't go on and on with details of names and dates that were unimportant to the story of where we were. With Mike's history as a police officer for 30 years, he was able to tell us additional fun stories which helped bring Bath to life. TOUR GUIDE RESPONSE: Hi Shelley, thank you for taking the time to submit a review, and for your kind comments. I hope that you and Reed enjoy the rest of your stay in the UK and have a safe flight home. A half day on Bristol was highlighted by a visit to the SS Great Briton, a walk around city center and a visit to the suspension bridge. Mike was knowledgeable and had lots of interesting stories about the people and places of Bristol. TOUR GUIDE RESPONSE: Thanks for taking the time to submit a review, and for your kind comments. It was a pleasure to share some of Bristol's heritage with you. Enjoy York, and have a safe voyage home. Mike gave us a comprehensive tour of Bath with a strong emphasis on the Roman aspects and Jane Austin, per our request. He was knowledgeable and personable and we enjoyed the day we spent with him. TOUR GUIDE RESPONSE: It was great to meet such 'young at heart' people, and I enjoyed sharing some of the city with you both. Thanks for the kind comments and for taking the time to submit a review. Mike is an excellent tour guide. He's friendly & knowledgeable about Bristol & Bath. Per my request, we visited Marlborough, Blaise Castle House museum & St. Mary's Redcliffe church in Bristol. Inside the church, he showed me the "American" room & I found a needlepoint pillow for my home state of Maryland. At his suggestion, I purchased my lunch at the church cafe. Delicious! Along the way, Mike added additional stops & interesting facts. I highly recommend Mike. Memorable trip. TOUR GUIDE RESPONSE: Hi Renee. Thank you so much for the 5* review & for your kind comments. Your wishlist of places to visit was unusual but made the tour even more interesting than usual for me, and you were the perfect guest. Happy memories all round. Mike. Definitely take the day off with Mike to Bath. His experience was priceless. I had an incredible day and highly recommend this tour. TOUR GUIDE RESPONSE: Hi David, thanks for your kind comments and for taking the trouble to submit the review. It is much appreciated. Sorry to respond so late. Mike was passionate, knowledgeable and answered all my questions. We travelled at a good pace and I believe his recommendations were spot on. TOUR GUIDE RESPONSE: Hi David, nice to hear from you again. I remember our time together very well, we had a lot of fun. Thanks for submitting such a kind review. 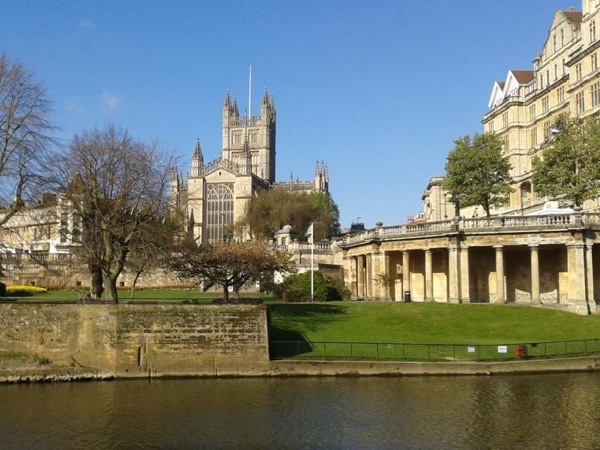 Due to a limited amount of time, Mike was able to give an excellent tour of both Bath and Bristol in one day. His knowledge of both places- ancient and modern- was invaluable for history buffs like my family and myself. Train travel between - and in- the two sites and even the quick deli lunch were easy with Mike's leadership. You didn't have to worry about being unfamiliar about logistics -you could just enjoy the tours. I would book another tour with Mike! TOUR GUIDE RESPONSE: Hi Mindi Many thanks taking the time to submit a review and for your kind comments, they are much appreciated. Yes, we did pack a lot in to the day, but what fun we had! I enjoyed your company very much and I hope you also enjoyed Liverpool. Best wishes, Mike. Mike is a wonderful ambassador for the city of Bath and a wonderful guide to help you see the city. As we left the station there he was and from that moment on we were enchanted by not only what he showed us, but by how he showed it to us. TOUR GUIDE RESPONSE: Wow, David! Thank you for those very kind words, and for submitting your review. I appreciate it very much. I enjoyed our time together too, and I hope you all have a great onward trip to Norway and Sweden. MIKE is a fascinating, fantastic professional tour guide! He took us to the most interesting venues, and customized our tour to meet our specific requests in terms of interests and mobility restrictions (I was nursing a broken ankle). He is also "in the know of everything Bath" and funny, and a delight to spend a day with. We heartily recommend MIKE to enhance your visit to Bath. Mike is fabulous, knowledgeable, lively, and patient. TOUR GUIDE RESPONSE: Hi Jack. Thanks for taking the time to submit the review, and for those kind comments, which are much appreciated. Have a great day in Salisbury. Mike has the character to make any spot special and when to start with Bristol, the center of the Universe, it is even better. TOUR GUIDE RESPONSE: Many thanks for the kind review and comments. It was a delight, a pleasure to share my corner of the world with you and your family. Mike is a pleasure to know. My wife and I thoroughly enjoyed our guided, customized, tour. Mike made our day truly special. TOUR GUIDE RESPONSE: Many thanks for posting your kind review, it is much appreciated. We had a wonderful day with Mike. He is knowledgeable and entertaining. TOUR GUIDE RESPONSE: Thank you so much for those kind comments Steve, they are much appreciated. I enjoyed the day with you and Cheryl and hope to see you both again when you come back to visit. Have a safe flight home. Mike helped my family plan the perfect day in Stonehenge, Salisbury and Lacock. He was knowledgeable and reliable, and went above and beyond to accommodate our schedule. He also helped arrange for our driver, Nathan, to meet us at the airport the day before. 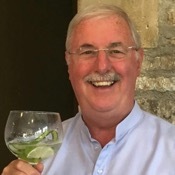 For a visit to Bath and the surrounding area we heartily recommend Mike! TOUR GUIDE RESPONSE: Hi Tiffany. Thank you so much for those kind comments, they are most appreciated. Both Nathan and I commented as we drove away that we had enjoyed the day too and what a nice family you all are. I hope you enjoy the Harry Potter Experience and wish you all a Happy Thanksgiving in Scotland. Discover Bristol as a hidden gem with savvy anecdotes and fun. Walk without being rushed with a friendly guide who will show what you would not see by yourself. TOUR GUIDE RESPONSE: Hi Magda, thank you for taking the time to submit your rating, it is much appreciated. I enjoyed the walk with you and your children and hope you enjoyed your trip to England. Mike's knowledge of the area was invaluable! He saved me hours of standing in lines because he knows what is important to see. We had a great time. I managed to see Baths and Stonehenge in one day because his time management skills are impeccable. Add to that his top knowledge of the area, and you are guaranteed to have a wonderful day. Thank you, Mike, for always looking out for me. I felt very safe, and I could not imagine having a better day. TOUR GUIDE RESPONSE: Thank you for your kind comments Marla. I enjoyed the day very much, including the excellent lunch at the Pump Room, for which I am most grateful. It was indeed a memorable day for me too, and a pleasure to share it with you. TOUR GUIDE RESPONSE: I am very grateful for these very kind comments, which mean a lot to me. I enjoyed their company too and I am so glad to hear they had a great day. We presented quite a challenge to our wonderful guide, Mike R. We had 3 couples, most of us retired, one in wheelchair, one with cane, one almost completely blind and one visually handicapped. We asked for pick up at our Southampton hotel, with all luggage & musical instruments, then a tour of Stonehenge, swing through Salisbury, then on to our ship. Mike handled all, had information available for all of our varied interests, and treated us with humour, elegance and concern. Book with confidence! TOUR GUIDE RESPONSE: Wow! Thank you so much for those exceptionally kind comments, Holly. It was a pleasure to share the day with you all. I much appreciated the sense of humour of everyone with us, and your tour was a fine example of why I do this job as a guide. Best wishes, Mike. Communication with Mike was easy and prompt. He was great with all ages, affable, and knowledgeable. Happy to have spent the morning with him. TOUR GUIDE RESPONSE: Many thanks for your kind comments. I am glad you all enjoyed your visit. Mike was a fantastic tour guide for our stay in Bath. Kindly met us at our property and then informed and entertained us for 2 hours on the historic highlights of the city. Would definitely recommend. TOUR GUIDE RESPONSE: Thank you for the kind comments Lizzie, they are much appreciated. As a red-blooded male it was a privilege and a 1st for me to be allowed to take a small part in a hen weekend, and I am so glad you all enjoyed the tour. I wish you all a wonderful day for the main event. Our tour Guide, Mike R., was fantastic. He was great to work with in arranging the type of tour we wanted (since it was a custom tour due to time constraints and what we wanted to see) and his knowledge of the area. He was very organized and was a pleasure to spend the day with. We would highly recommend him to any one considering a tour in Bath, Stonehenge or Salisbury. Our tour with Mike R. of Bath, Stonehenge and Salisbury Cathedral will remain in our mind and hearts as a great day for our family. TOUR GUIDE RESPONSE: Hi Peter, thank you so much for your most kind comments, they are much appreciated. I enjoyed the company of you all and look forward to seeing you again some day. Excellent Guide. Very well informed, and fun to be with!!! My wife and I had a spectacular day. Mike has a great deal of local stories that added to our tour. As a retired chief of police of Bath he had many great stories to share with us about Bath. Mike was a 5 out of 5 for sure. He was managing a group with an age range of 9 to 80 years old! He did a terrific job with the pace and level of detail and engaged everyone in the process. Mike brought the history of the Bath and Stonehenge area to life and made for a very memorable day. We would highly recommend him for anyone touring the area. TOUR GUIDE RESPONSE: Many thanks for your kind comments, which are much appreciated. I enjoyed the company of you all, and it was a memorable day for me too. TOUR GUIDE RESPONSE: Many thanks for your kind comments which are genuinely appreciated. It was a pleasure to share the city with you all and I am particularly glad my recommendation for the adventure playground worked out for the kids. TOUR GUIDE RESPONSE: Many thanks for the kind comments, Jude. I am glad the weather cleared up for us, and you never know, we may bump into each other again if I make it to Melbourne! Mike was an informative, very entertaining and knowledgeable guide. He made history come alive with fascinating historical characters. TOUR GUIDE RESPONSE: Thanks for the kind comments. It was a pleasure to share some of the city with you. Mike has a large knowledge of the Bath and Stonehenge area. His nice sense of humor and ability to manage/guide a large group of personalities around the city was great to watch. I would definitely recommend Mike and use him again in the future. Thanks Mike. TOUR GUIDE RESPONSE: Many thanks for these kind comments. Your party were great fun to be with and a pleasure with whom to share this region. I hope you all have as many happy memories of your visit as I do. Mike was both friendly, engaging and very knowledgeable; he made our visit both fun & informative. Mike was a wonderful guide - My husband and I truly enjoyed seeing the city with Mike who made sure we hit all the highlights and gave us a very entertaining and fun tour. We would highly recommend him to anyone who wants to make the most of their visit to Bath with a local to show them around and get a real sense of the city. TOUR GUIDE RESPONSE: Many thanks for the kind comments. It was good to have visitors to the `Las Vegas` of Roman Britain from today's Las Vegas. TOUR GUIDE RESPONSE: Thanks for the 5* rating Peter. I enjoyed the walk, and your company. Was a funny guy and knew everything about Bath. TOUR GUIDE RESPONSE: Thanks for the kind comment. I enjoyed the company of you and your family and I hope you all enjoyed your tea in the Pump Room restaurant. Mike was a fantastic guide. Helpful with organizing our tour, knowledgeable about Bath, and a pleasure to spend time with for an afternoon. Highly recommended. TOUR GUIDE RESPONSE: Many thanks for the kind comments, Brent. I enjoyed your company too! We had a delightful afternoon with Mike. He was unhurried, very knowledgeable and patient with our grandchildren. We would definitely recommend him and the tour. TOUR GUIDE RESPONSE: Thanks for the kind comments. I am glad you enjoyed your visit. We highly recommend Mike and his Best of Bath tour. He gave us a great overview of the city. We have 3 kids (ages 7, 10 and 13) and they really enjoyed the tour as well. In addition to history of the city, Mike shared some stories along the way of when he was a police officer in Bath which were fun to hear. I would recommend doing this tour first thing so you can prioritize which sites you want to visit the rest of your time in Bath. Thanks Mike. TOUR GUIDE RESPONSE: I enjoyed your tour too! Thanks for asking me, and thanks for the kind comments. Enjoy the rest of your stay in the UK. Mike made our brief visit to Bath very special - we had a wonderful couple of hours or so in his company - we learnt lots (some more than others! ), we laughed lots and came away feeling that we really had walked the length and breadth of Bath and soaked up all the history. Despite being one of the busiest weekends of the year, Mike managed to avoid the crowds but still showed us all the sights - we would thoroughly recommend the Tours and particularly Mike if you have little time to explore yourselves! Hello, Mike was absolutely WONDERFUL. He was so informative, courteous, and just easy to talk to. We could not have asked for a better guide. I wish we could have packed him away in our suitcase and taken him to Paris with us to tour us there as well. :-) If we are ever back in any region that he is available as a guide, we will specifically ask for him. Thanks Mike for helping us make memories that will last a lifetime! TOUR GUIDE RESPONSE: You are welcome. I enjoyed your tour too!